If your favorite thing in the summer is warm nights outside, then likely one of your least favorite things is getting eaten alive by mosquitoes. 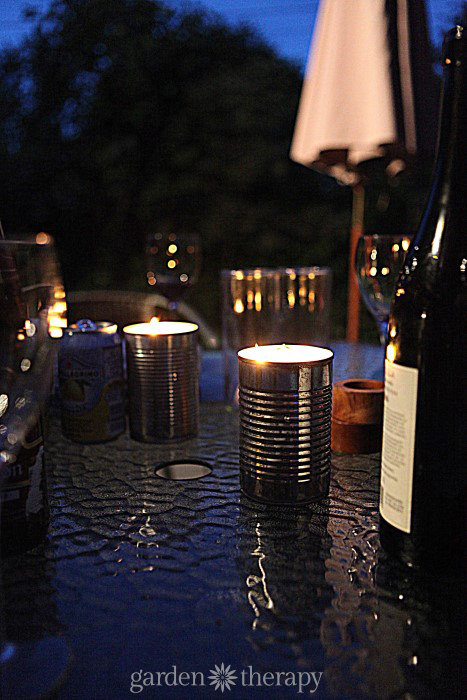 Making citronella candles in cans is a great recycling project that is inexpensive and effective, much like the Soy Beeswax Jar Candles I made a few months back. 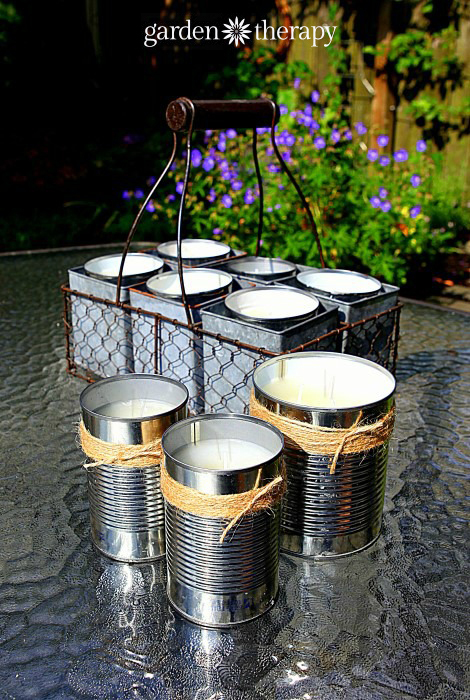 I make plenty of citronella candles to create a bug-free barrier around the patio so I can enjoy my warm breezes and summer cocktails in peace. They aren’t bad for adding atmosphere either! I’m not overly crazy for the smell of citronella, so I added a few additional scents to the latest batch: pine and mandarin orange. 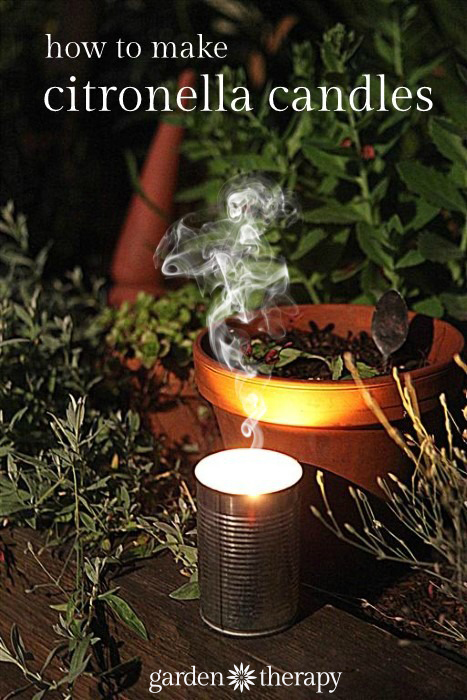 While the most effective candles will still be primarily citronella, feel free to add a few other fragrances the bugs won’t like such as eucalyptus, rosemary, peppermint, and oregano. 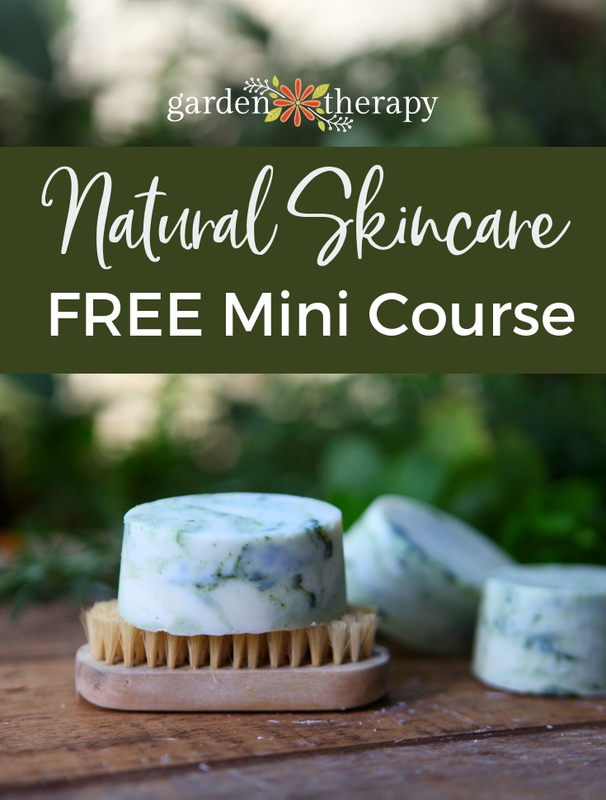 I have an all-natural bug spray recipe with these scents too – they work really well. 1. 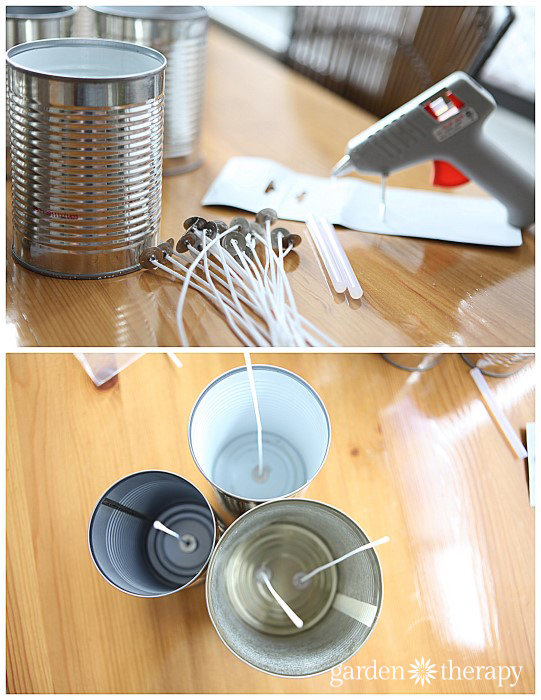 Using the hot glue gun, affix the wicks to the bottom of the cans and press it firmly into the center. 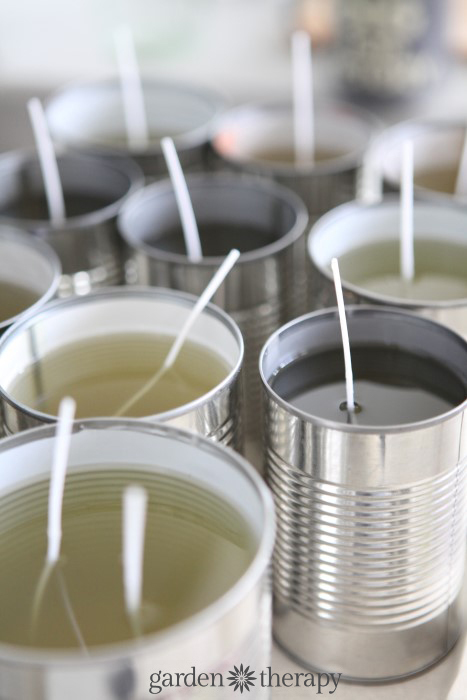 If you are using a larger can, add two or three wicks spaced apart around the center. 2. 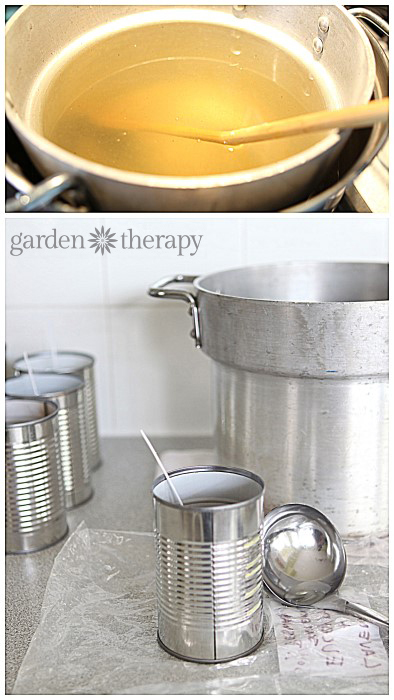 Assemble your double boiler and add wax or old candles in small pieces. Don’t worry so much about bits of wick or other specks in the wax as you won’t see them in the candles when they are done. Heat over medium heat until the wax is completely melted. 3. When the wax is melted it’s time to add the fragrance. 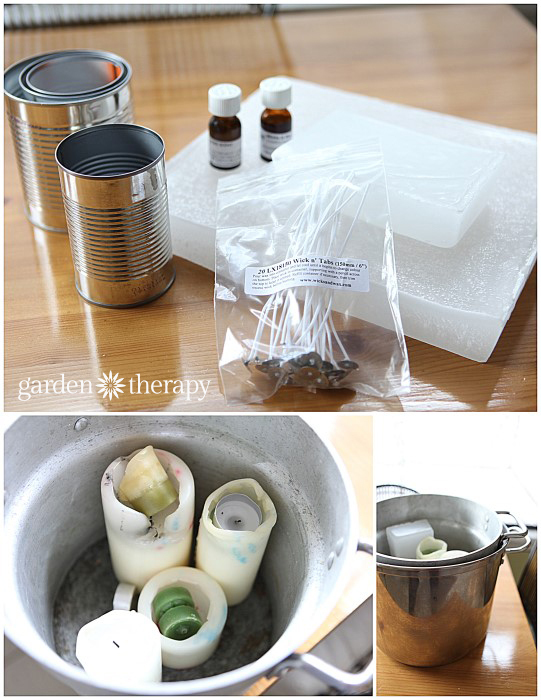 Add 1 oz of citronella oil per pound of wax and augment the scent with 0.5 oz of other scents per pound. 4. Let the wax cool slightly and carefully pour into containers. I can usually gently maneuver my wicks to stay in the center as the wax cools, but if you are having trouble, secure the wicks with a chopstick or clothespin to keep them in line. Be careful not to disturb them too much and set them in a warm place to cool. Cooling slowly and completely will create the best looking candles. 5. If you get a depressed area around the wick when cooled, warm up some more wax and pour it into the void. 6. Allow your candle to cure for 48 hours undisturbed before burning. Then, when you fire it up, let the candle burn so that there is a full, wide pool of wax before you blow it out. It is said that candles have a memory, so it’s best to let the first burn set the tone for all the rest. 7. 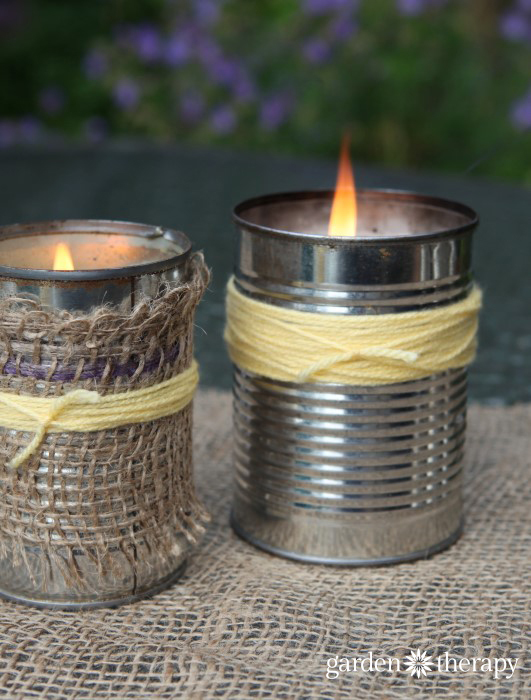 Decorate your citronella candles by wrapping them in burlap, twine and/or yarn. 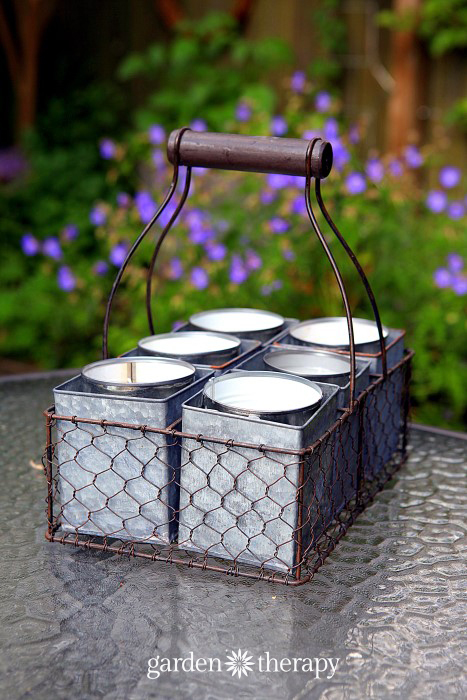 Store them near the garden, deck, or patio so you can quickly light up when the pests start buzzing around. Need relief from annoying bugs on the go? Try this all-natural insect bite roll-on remedy. 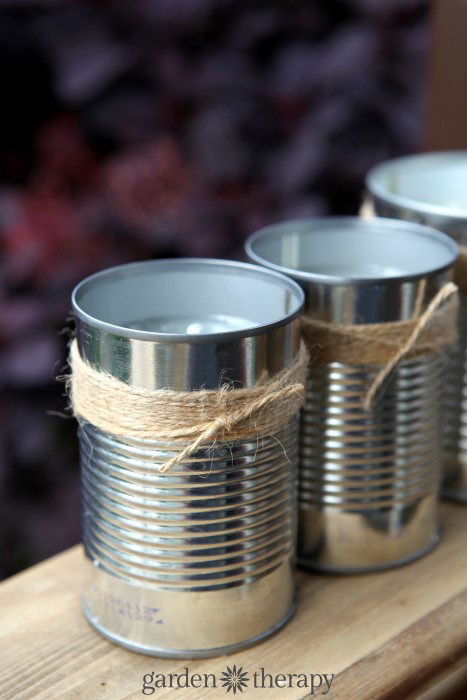 did you just reuse old tin cans or were you able to find unused ones somewhere? I love this idea! I just used cans from the recycling bin. No need for new ones for this project! 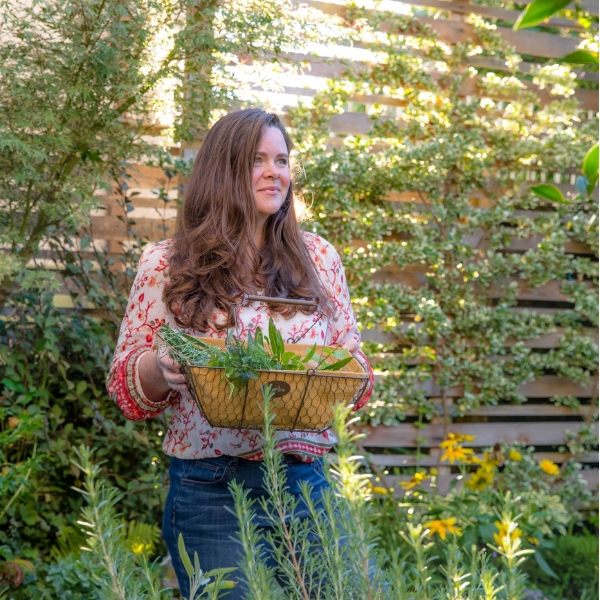 Stephanie, I have lots of citronella and rosemary plants in the backyard. Do you think I can chop these up and add to the melted wax before pouring into container? Just gave this a try and its a great solution to a ever present problem that props up every summer. Thanks for sharing this. 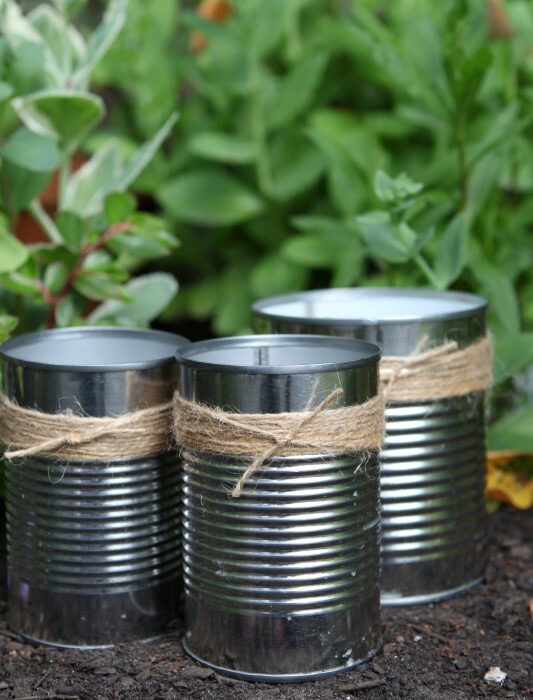 Would spray painting the outside of the cans create a fire hazard as the cans become hot? Some citronella wax run out into the soil of a pot. Does it contaminate soil i.e. plants wouldnt grow anymore and I have to throw away the soil? (and it goes into the “red bin” ??) or is it washed away after a few heavy rains? Hi Joe, I don’t think it will harm the soil. How much are we talking about? If you had a spill then it should harden enough that you can pluck it out and toss it in a bin. If it’s just a few drips, don’t worry, it will be fine. its about half of the cup. is it still ok? Yes, I removed the “wet” soil, question is if it behaves like oil spilled by oil tankers in the ocean, where small amounts delete all live.. i am no chemist, but both can burn, so both should be equally harmful?